Emile Sinclair scored a hat-trick as Peterborough recorded their first points of the season at promotion hopefuls Hull with a 3-1 win. With seven straight defeats to their name this campaign, there were few who expected Posh and their under-fire manager Darren Ferguson to topple City, a side chasing a seventh straight home league win. 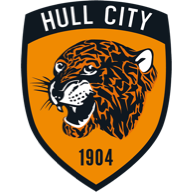 But, thanks to a treble from Sinclair, whose pace and power was too much for Hull to deal with, United upset the form book, despite Jay Simpson's goal, at a ground Sinclair has great affection for. His two-goal salvo for Macclesfield in the Carling Cup by the Humber last August brought him to Ferguson's attention and they duly signed him later that month for £100,000. He scored 10 goals last season but these three may well be more important than all of them combined. It is the second successive week Steve Bruce's Hull have conceded a hat-trick as well, with David Nugent having done the same for Leicester last Sunday. That 3-1 reverse showed that despite their previous home prowess, Hull have a soft underbelly and Sinclair immediately set about testing it out today. He broke down the left with 10 minutes gone, showing the pace to get away from Alex Bruce, the son of Steve, before working Ben Amos with a low drive. 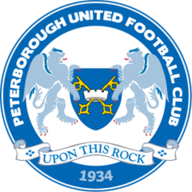 It appeared as though Peterborough would pay for not taking that chance, especially as Hull then got after them, with Sone Aluko hooking a volley over and then cutting in from the right to work Robert Olejnik at his near post. But Peterborough would get another opportunity and, with 24 minutes gone, Sinclair took it. It first seemed that Stephen Quinn had covered the long ball aimed for the striker but as he dallied, Sinclair clattered into him to regain possession and then torched past Bruce before rounding Amos and tucking into an open goal. His composure belied a man who can occasionally appear cumbersome and six minutes later he was at it again. George Boyd was the man to show Bruce - keeping a dangerously high line - a clean pair of heels on this occasion and, after holding his run temporarily, he played Sinclair through on goal and he dragged Amos left before beating him with a slick finish. Hull's only response before the break came from Aluko's low drive which Olejnik dealt with, and the former Rangers man should have at least hit the target from six yards four minutes after it, only to plant Quinn's cross into the stand. Simpson was the next to fluff his lines, mis-kicking from 10 yards out, and lightning nearly struck thrice for Hull just after as Sinclair broke free but failed to beat Amos. His miss would haunt him too as Simpson clicked into gear on the hour, drilling in his fifth of the season after a neat pull-back from Ahmed Elmohamady. Having missed his hat-trick chance and with Hull growing, it looked as though Sinclair would end as the villain rather than the hero, but with 16 minutes left he was left alone, allowed to advance, and he eventually decided to place a low strike into the bottom corner from the edge of the box.